This super fine powder absorbs excess moisture from the skin, making it a fantastic addition to some of our dusting powders and deodorants.Lycopodium powder is the dry spores of clubmoss plants, which is a family of ferns. 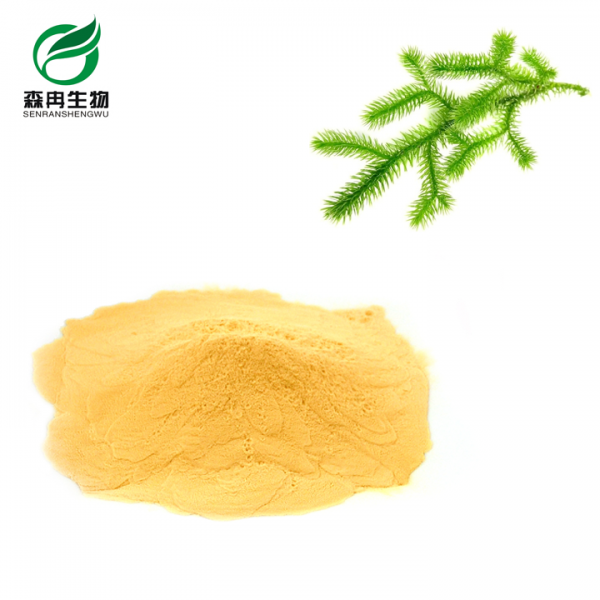 Lycopodium powder is a yellow-tan dust-like powder, consisting of the dry spores of clubmoss plants, or various fern relatives. When it is mixed with air, the spores formed are highly flammable and are used to create flashes or flames as theatrical special effects. Today, the principal use of the powder is to create flashes or flames that are large and impressive but relatively easy to manage safely in magic acts and for cinema and theatrical special effects. Historically it was also used as a photographic flash powder. Both these uses rely on the same principal as a dust explosion, as the spores have a large surface area per unit of volume, (a single spore’s diameter is about 33 micrometers (μm)), and a high-fat content. It is also used in fireworks and explosives, fingerprint powders, as a covering for pills, and as an ice cream stabilizer. 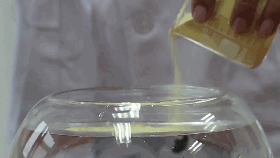 Lycopodium powder is also sometimes used as a lubricating dust on skin-contacting latex (natural rubber) goods, such as condoms and medical gloves. 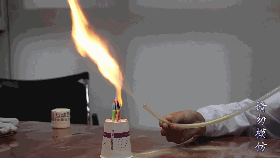 In physics experiments and demonstrations, lycopodium powder can be used to make sound waves in air visible for observation and measurement and to make a pattern of electrostatic charge visible. 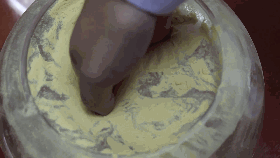 The powder is also highly hydrophobic; if the surface of a cup of water is coated with lycopodium powder, a finger or other object inserted straight into the cup will come out dusted with the powder but remain perfectly dry. 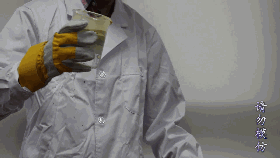 Because of the very small size of its particles, lycopodium powder can be used to demonstrate Brownian motion. A microscope slide, with or without a well, is prepared with a droplet of water, and a fine dusting of lycopodium powder is applied. Then, a cover-glass can be placed over the water and spore sample in order to reduce convection in the water by evaporation. Under several hundred diameters magnification, one will see in the microscope, when well focused upon individual lycopodium particles, that the spore particles “dance” randomly. This is in response to asymmetric collisional forces applied to the macroscopic (but still quite small) powder particle by microscopic water molecules in random thermal motion. The lycopodium particles appear to be “alive”, but they are only inert particles being buffeted by forces which, again, because of the small size of the lycopodium particles, respond to the momentum applied to them, which does not quite average to zero in three dimensions. Thus, the particles move. As a then-common laboratory supply, lycopodium powder was often used by inventors developing experimental prototypes. For example, Nicéphore Niépce used lycopodium powder in the fuel for the first internal combustion engine, the Pyréolophore, about 1807, and Chester Carlson used lycopodium powder in 1938 in his early experiments to demonstrate xerography.